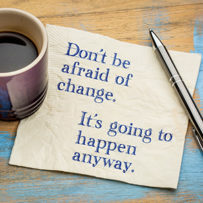 While change is inevitable, it can also be emotional, especially when your partner moves on from what you thought was a committed relationship. Rather than engaging in finding fault and placing blame, simply be willing to accept what is so about the situation. Life is too short to resist change and perceive it as “it shouldn’t be this way.” The sooner you stop judging and assessing what was good from what was bad, and who was right from who was wrong, the quicker you will be empowered and experience inner peace. By embracing change and granting yourself the grace to let your partner go, you will have more energy to move forward with ease, grounded in the fact that from what you learned in this relationship you will be able to attract an even better partner who wants to be with you. 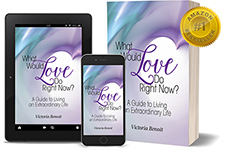 It’s true, by being the change you wanted to see in the world — providing the very thing you think is missing in your relationships — you too can experience what your heart desires, just as I did. In the very giving of it, my father gave back to me genuine love and acknowledgement. It was quite remarkable. So, be the change. Embrace the change. Expect the change and you too can live an extraordinary life filled with everything you desire. A life where you can hardly wait to get up. One that is overflowing with love, joy, passion, and fulfillment.